"I'm sure that you are a different person, but I don't want you to get out." Damn this looks intense. HBO has debuted an official trailer for an indie drama titled O.G., which premiered at the Tribeca Film Festival last year. This was filmed at an actual prison, with real-life prisoners playing prisoners. The story centers on Louis, a maximum-security inmate and a former gang leader who genuinely regrets his crimes and, while serving over 24 years behind bars, has tried to live a new life of dignity and self-respect. Just weeks before release, he encounters Beech, a new prisoner (played by real-life inmate Theothus Carter) who asks for his help. "The younger inmate echoes of his older counterpart, stirring instincts within Louis that had long been buried beneath a tough exterior." Jeffrey Wright stars, with William Fichtner, Boyd Holbrook, Mare Winningham, Bahni Turpin, Yul Vazquez, David Patrick Kelly, and Ato Essandoh. Enjoy. O.G. 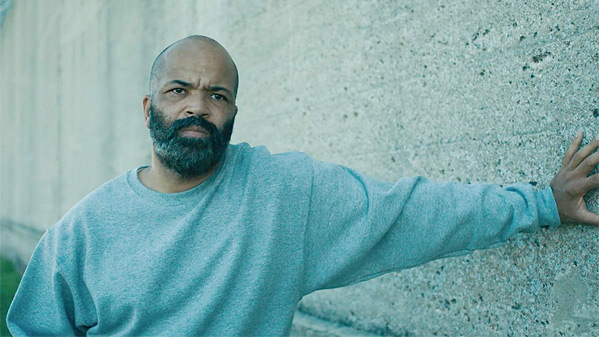 follows Louis (Jeffrey Wright), once the head of a prominent prison gang, in the final weeks of his 24-year sentence. His impending release is upended when he takes new arrival Beecher (Theothus Carter), who is being courted by gang leadership, under his wing. Coming to grips with the indelibility of his crime and the challenge of reentering society, Louis finds his freedom hanging in the balance as he struggles to save Beecher. O.G. is directed by American producer / filmmaker Madeleine Sackler, making her feature directorial debut with this after a few documentaries including Mechina: A Preparation, The Lottery, and It's a Hard Truth Ain't It previously. The screenplay is by Stephen Belber. This premiered at the Tribeca Film Festival last year. HBO will debut Sackler's O.G. streaming starting February 23rd later next month.